The STORServer Support Services and Consulting team provides installation, configuration, support, disaster recovery services, and health check services. Our professionally certified, expert consultants have years of experience with backup, archive and disaster recovery solutions. 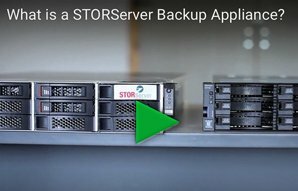 STORServer is known world-wide for our expertise in IBM® Spectrum Protect™, (formerly TSM) and Commvault® Software, the backup, archive, and disaster recovery engines of our appliance. Our support service professionals work closely with customers to define best practices for implementation and use of our Backup Appliances and software. We offer a range of support services to assist customers in planning, implementing, and maintaining STORServer Backup Appliances and software solutions. We provide a statement of work outlining the specific objectives and tasks for every professional support services engagement. STORServer offers varied levels of support for your backup solution. Whether you need full 24×7 support from our support engineers or are interested only in minimal support, there is a plan available for you. Visit our Support Options page for more information. Ensure your data protection needs are being met by teaming with our support consultants for a thorough review of business requirements, system, and policies by scheduling a comprehensive health check. Change happens, but with proactive care, that change can be managed so that your data is not at risk.